Chronic pain lasts for months or even for years. It has no preventive role and it disrupts the sufferer’s everyday activities. It radically reduces the quality of life. 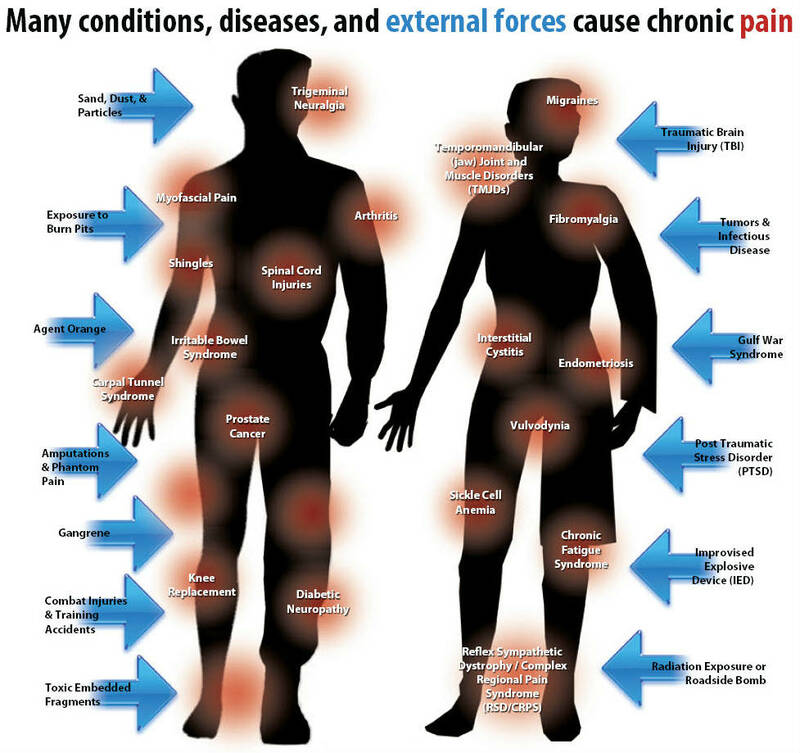 Chronic pain is not a symptom, but an independent disease. If acute pain is our best friend, chronic pain is our greatest enemy. Luckily, you are not defenseless when it comes to chronic pain. A simple change in your diet and better food choices can make a huge difference. It is good to point out that there is food that can increase chronic pain and the food that can help you ease this pain. The following is a list of these foods. 1. Fried foods. It is true that fried foods taste good and that the oils used in this process are rich in omega-6 fatty acids, but eating this kind of food regularly is wrong. Omega-6 fatty acids can be useful, but only if they are consumed at the same level as omega-3 fatty acids. Most people don’t keep this balance and that’s why many of them experience inflammation or even chronic pain. 2. Beer. You can find many articles claiming that beer is healthy. Unlike other alcoholic beverages, beer does contain some useful ingredients. However, if you drink beer in high amounts you will significantly increase the chance of getting gout. The reason behind this is simple – high level of purines found in beer. Avoid drinking more than two beers a week. 3. Processed foods. It is sometimes very useful to eat food that comes from a box or a can. You only need to open the package and you can have a dinner or lunch. However, it is also good to point out that processed food can lead to chronic pain and inflammation. It contains trans fats, gluten, omega-6 fatty acids etc. 4. Gluten. We have mentioned gluten as one of the factors that can cause chronic pain, but this ingredient has different effects on different people. Many gluten-sensitive people should definitely avoid this ingredient. Processed food, rye, barley and wheat are some of the foods where you can find gluten. 5. Aspartame. Although this artificial sweetener (also known as NutraSweet) is better than using sugar in large quantities, its consumption can lead to chronic pain and headaches. 6. Trans fats. Trans fats are polyunsaturated vegetable oils that are processed in order to be stable at room temperature. There are many negative effects of using trans fats and one of them is their contribution to the appearance of chronic pain. 7. Sugar. High amounts of sugar in the diet will increase the amount of the final products of glycation (Advanced glycation end) which are formed by binding of glucose molecules to the protein. The proteins become solid and rigid, which leads to pain. 8. Foods to which you are sensitive or allergic. If you eat food to which you are allergic, you will destabilize your insulin and low blood sugar levels, which increases inflammation. The most common allergens are gluten, wheat, dairy products, potatoes and sugar. 9. Caffeine. Caffeine and some other stimulants are often used when people lack energy. They have good short-term results, but unfortunately, consuming them in large quantities can lead to inflammation and chronic pain. 10. Junk food. Junk food should be avoided, not only to protect yourself from chronic pain, but also to keep your body healthy.